Bowden Collections offers a variety of traveling exhibitions available for rental to museums, churches, colleges and seminaries and similar institutions. Venues are responsible for the rental fee and shipping, usually to the following location. A CD containing everything needed to mount the exhibition, with files for labels, shipping information, lists of items in the show, a brochure in PDF format, along with high-resolution digital files of all the art in the exhibit are provided to the gallery. See the Exhibition Galleries for schedules and details of each traveling exhibition. Christians in the Visual Arts is an international organization which exists to explore the relationship of the visual arts and the Christian faith. CIVA also produces a directory of its members with many reproductions, publishes a newsletter and journal, offers workshops and art focused tours and hosts a biennial conference. The mission of The Episcopal Church and Visual Arts is to encourage visual arts in the life of the Episcopal Church. ECVA seeks artists and those interested in bringing the visual arts into Episcopal spiritual life. The Museum of Biblical Art celebrates and interprets art related to the Bible and its cultural legacy in Jewish and Christian traditions through exhibitions, education, and scholarship. The Museum provides visitors with an experience that extends their understanding of the good news about Jesus, whether becoming aware of God's offer of his love through Jesus, being inspired to follow Christ, or growing in desire and ability to share the gospel. The Museum offers an inviting, informative and inspiring experience for the general public on the story of evangelism in North America, especially the ministry of Billy Graham. Saint Louis University's Museum of Contemporary Religious Art (MOCRA) is the world's first interfaith museum of contemporary art that engages religious and spiritual themes. MOCRA is dedicated to the ongoing dialogue between contemporary artists and the world's faith traditions, and to serving as a forum for interfaith understanding. In a time when religion is viewed by many in exclusive ways, MOCRA intends to be inclusive and embracing, a center for healing and reconciliation. Eisley Fine Art and Framing specializes in fine art commissions, custom framing, conservation & restoration, online and by appointment only. Our specialty is working with clients on unique, custom projects. We have over 40 years of experience as a family business and we thank you for visiting our site! A gallery with a twist. 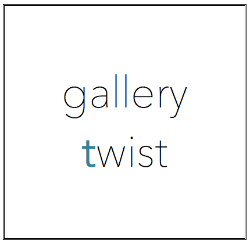 By offering a unique space for short-term exhibitions, Gallery Twist provides a place for visitors to enjoy an eclectic mix of artwork in various styles and media. Here, in a home setting, you can easily imagine the art in your own home or workspace. Bringing fine Judaic Art and Gifts to Boston and worldwide. For nearly forty years, Kolbo has been an integral and valued part of the Jewish community in New England; families have come here continuously over the years for important milestones in their lives.